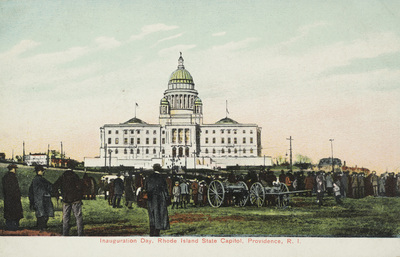 "Inauguration Day, Rhode Island State Capitol, Providence, R.I." by Rhode Island News Company, Providence, R.I.
Inauguration Day, Rhode Island State Capitol, Providence, R.I.
Postcards; Postcards--Rhode Island; Providence, R.I.
Rhode Island News Company, Providence, R.I., "Inauguration Day, Rhode Island State Capitol, Providence, R.I." (1915). Rhode Island Postcards. 461.